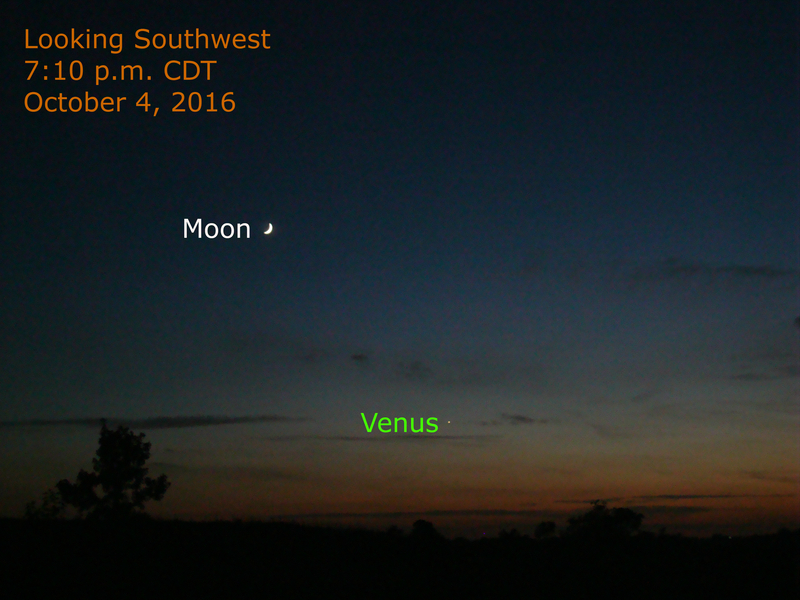 After several days and nights of cloudy and rainy weather, the sky cleared today for a display of Venus and the moon in the western evening sky after sunset. Tonight the moon and Venus are separated by 12.5 degrees. Look for the moon near Saturn tomorrow evening.